Alan Vels the CEO of the Durban Events Co comes from an impressive hospitality background. His career in hospitably, spanning across 29 years in which he was involved in 109 hotels in and around Africa. From being the director of the International Hotel School, the youngest CEO of theThree Cities Hotel group, founding Signature Life Hotel Group, to sitting on the board of TKZN tourism and currently the Chairman of FEDHASA East Coast. 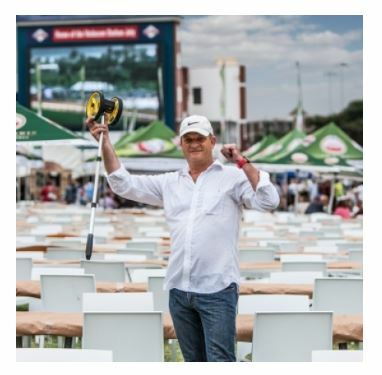 Alan's next opportunity arose when he helped open and establish the Greyville Convention Centre, which is now one of Durban's leading events, wedding, exhibition and conferencing venue. He saw the need for Durban to have more mid scale and affordable events and thus created The Durban Events Company. The company's vision is to create a calendar of events in and around the city for Durbanites to enjoy at cost effective tariffs. We conceptualize, plan and execute incredible, unique and innovative events in the City of Durban and elsewhere when an opportunity arises. Besides creating our own in house events, we also plan and execute standard and new events for corporate companies, government departments and private individuals. We tend to lean towards uniqueness and cost effective eventing, which suits the budget of all our clients. Nothing too big or small for the Durban Events Company. Durban Events Company - "Naturally, Baby!" Expo!